WORKSHEET ATTACHED IN EDMODO JUST IN CASE YOU MISPLACE IT!!! 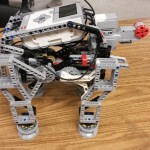 6th grade-Robotics 1: Basic robot and program using Lego Mindstorm. Take a video of all the moves. Turn in. War on food-GMO, SUGAR, PRESERVATIVES, ORGANIC, WHOLE???? Download the document below, save and fill in the missing information as you watch the video. EDMODO LOG IN: Open the EDMODO pdf-Click on your class link to join your class. Use the notes page 8 in your vocabulary volume 1 packet-Fill in the missing information on the graphic organizer.